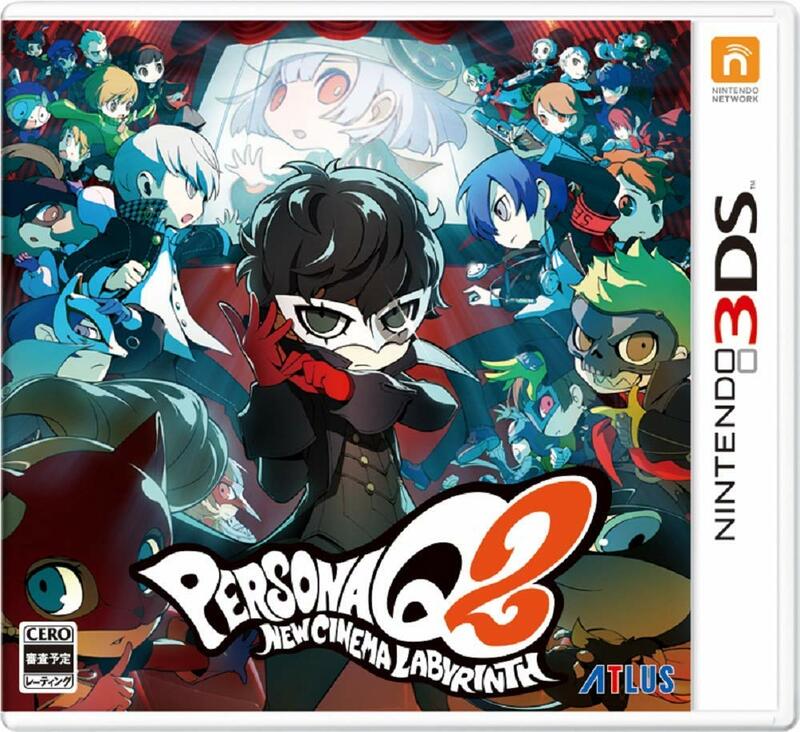 Persona Q: Shadow of the Labyrinth has received a significant discount on the North American 3DS eShop. Through March 14, the game can be had for only $20. The original asking price was $50 for those that are curious! Another couple of Atlus deals have gone live on the North American 3DS eShop. 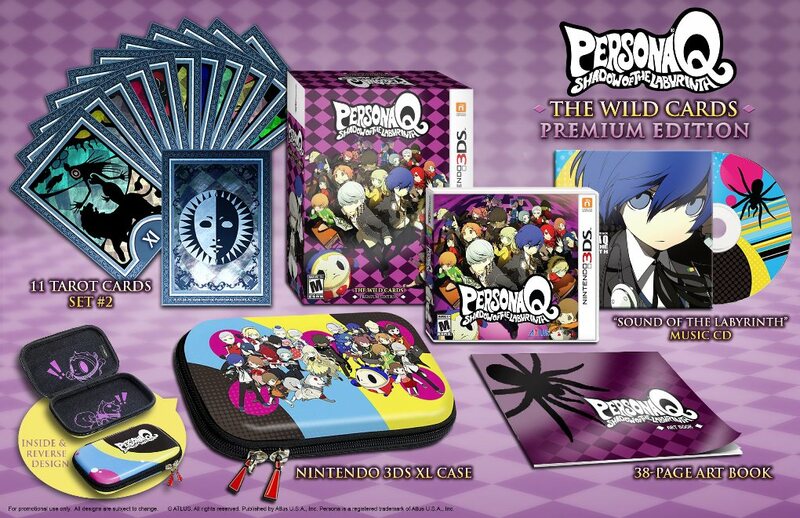 Devil Summoner: Soul Hackers is being sold for $10, and Persona Q can be had for $20. Both discounts are valid until 8:59 AM PT / 11:59 AM ET on January 11. 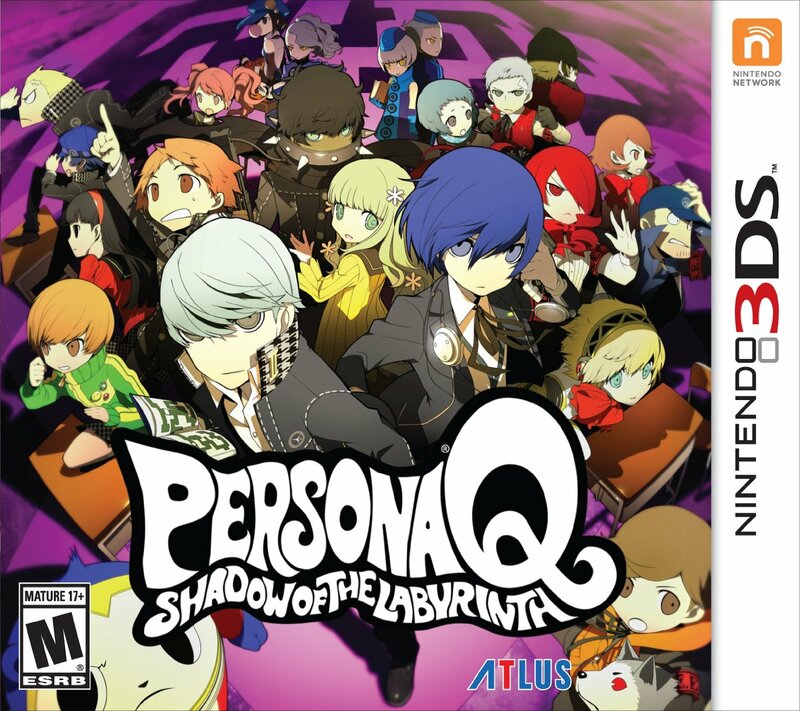 Persona Q: Shadow of the Labyrinth – The Wild Cards Premium Edition has received a significant discount over on Amazon . It’s now down to $36, meaning you’ll save $44 with a purchase. I believe this is the lowest price offered for this version of the game thus far. 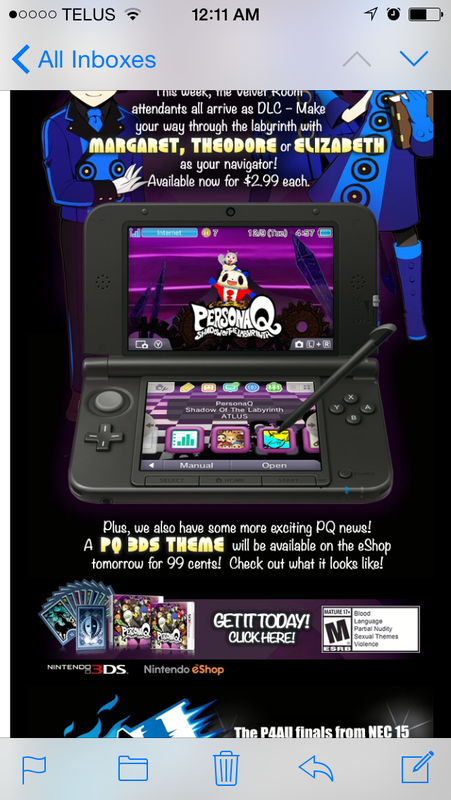 Atlus is celebrating the recent launch of Persona Q: Shadow of the Labyrinth with a new 3DS theme. If you have a North American system, you’ll be able to download it starting tomorrow. Pricing is set at 99 cents. 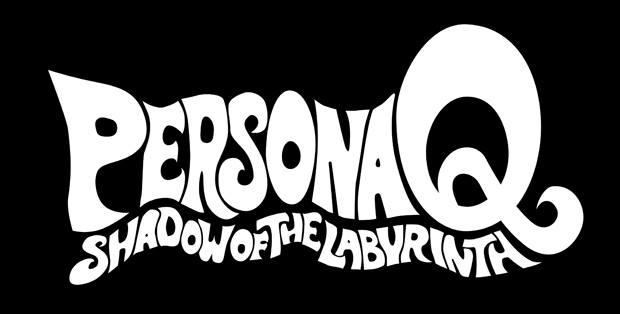 Atlus has shared a DLC schedule for Persona Q: Shadow of the Labyrinth. Players can obtain new sub-personas as well as navigator voices. Sub-Personas – These additional sub-Personas will show up in the Persona Compendium after purchasing and can be summoned once for free. Navigator Voices – Change the voice of the Labyrinth and Battle navigators to any of the voices below! The dialogue differs per voice and is adapted to voice’s personality. Autoplay seems to be an issue, so head past the break for the video.